After winning the Screen award for Best Actor Critic’s Choice and the Big Screen Entertainment Award for Best Actor in a Drama,for his performance in the 2016 blockbuster, MS Dhoni : The Untold Story, Sushant Singh Rajput walked away with the Best Actor award at the Indian Film Festival of Melbourne. for his brilliantly nuanced and seasoned performance as the former Indian cricket captain in the blockbuster. 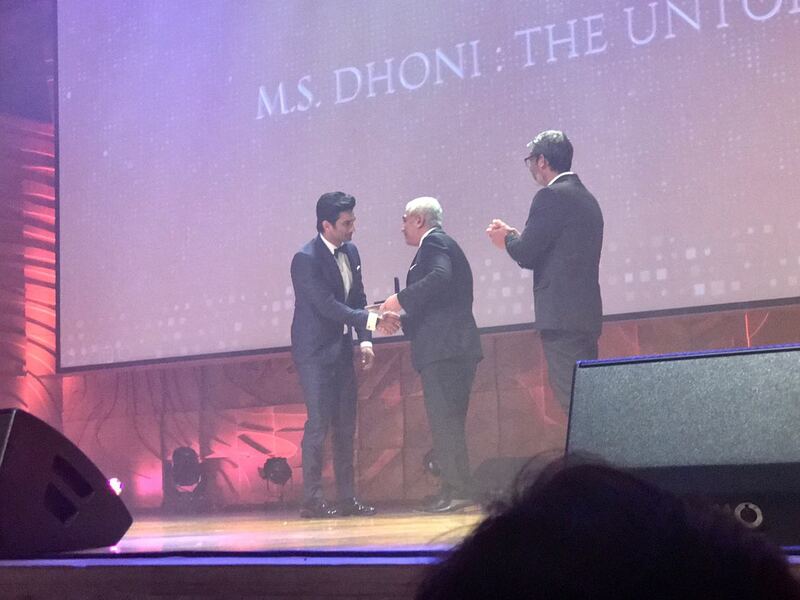 Sushant Singh Rajput, who flew to Melbourne to receive his award, was lauded for his portrayal in and as MS Dhoni , and received massive praise and accolades . The actor was selected for the honor by an esteemed jury panel that consisted of acclaimed names from Australian and Indian cinema. Sushant has always been appreciated for the career choices he has made so far – From picking unconventional subjects, living his characters and getting right under the skin of them ,to being a great performer and entertainer. The actor next has an interesting line up of films including Chanda Mama Door Ke , RAW, Drive and Abhishek Chaubey’s next,making him one of the most promising young actors of this generation.